Video games, am I right? For many people out there, is there any product you would more eagerly shell out your hard earned dollars for? Most of us (myself included) love video games. The best ones are immersive, thought-provoking and wildly entertaining. Sure they cost sixty bucks but for hours of content. Few companies do a better job of backing that up than Bethesda. 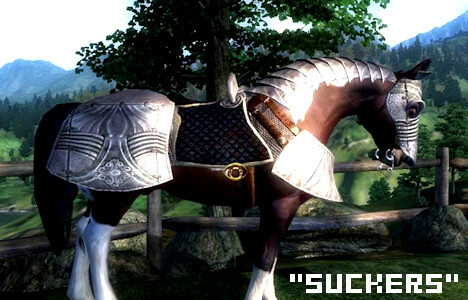 Think about the Elder Scrolls V: Skyrim, how many days did the average player sink into that? Bethesda Softworks, the video game publisher in charge of both the Elder Scrolls and Fallout series, is a top-of-the-line video game publisher. Most of their hits are really hits. We’re talking a AAA company. So why am I talking about them then: mainly to use as an example to reflect a much larger critique on the entire video game industry. My criticism is simple. Do you love Bethesda games? Can you not wait for Fallout 4 or the Elder Scrolls VI to come out? Well you should. You should wait. In fact you should wait until a year after they are out. This is cool looking product. I mean dragon statue, that’s it right there. 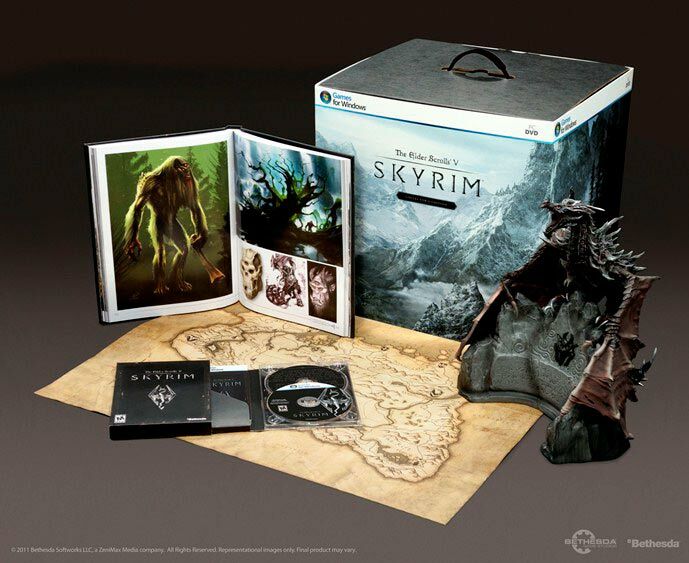 More exactly, however, this collector’s edition included the following: a making-of-Skyrim DVD, The Art of Skyrim official book, a statue of Alduin (everyone’s favorite dragon to kill) an official copy of the Skyrim map and a free passcode entitling the diehard, day-one buyer to all of the Elder Scrolls V: Skyrim‘s upcoming dlc (downloadable content for those out there who don’t know the lingo) for absolutely no charge. Wait… scrap that last part. Only people who waited got that. Oh and they also only have to pay forty dollars: http://www.playstationlifestyle.net/2013/03/12/the-elder-scrolls-v-skyrim-game-of-the-year-edition-listed-by-amazon-dated-for-june-2013/. The Elder Scrolls V: Skyrim Game of the Year Edition, all dlc included for only two-thirds the price of the original game. This is not the first time Bethesda has done this. Indeed they have a very good track record since Morrowind. Oblivion, Fallout 3, and Fallout: New Vegas have all received a “Game of the Year Edition” that features every piece of dlc included in addition to the discounted price tag. Is Bethesda the only publisher pulling this trick: no. Is it unfair to the fans: yes. Is it our fault that they do this: yes. Yeah true, so the person who waited doesn’t get the Alduin statue but really – what do you do with that? I’m curious to know. Really it just becomes a dust collector. The same can be true for any so-called “collector’s edition”. None of them ever include a free dlc pass (yes I acknowledge that some of them include codes for day one dlc but that’s it). Instead they all include stupid things that look cool enough to prompt a purchase but then are usually regretted upon later. 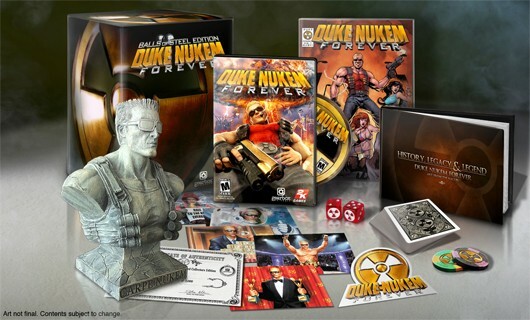 Collector’s Edition: check. Good Edition… still waiting. Bethesda is very guilty on both these fronts. They love to release collector’s editions and they love to release Game of the Year editions. They are entitled to do this and they should so long as both options are financially rewarding. This falls on us as the market. We have to change how we purchase games. The way the market is structured now: day one purchasers always get the short end of the stick. For a culture that works on hype and generating excitement, all logic in the video game world demands patience. For my part, I have become wise to Bethesda’s game. I paid twenty dollars for Fallout 3: Game of the Year Edition and do not regret that purchase. I am now also planning to purchase the Game of the Year edition for Fallout: New Vegas. Doing so will allow me to play the entire game (all dlc included) and not experience the glitches that were reported by all day one purchasers. This is not fair but it is economical. 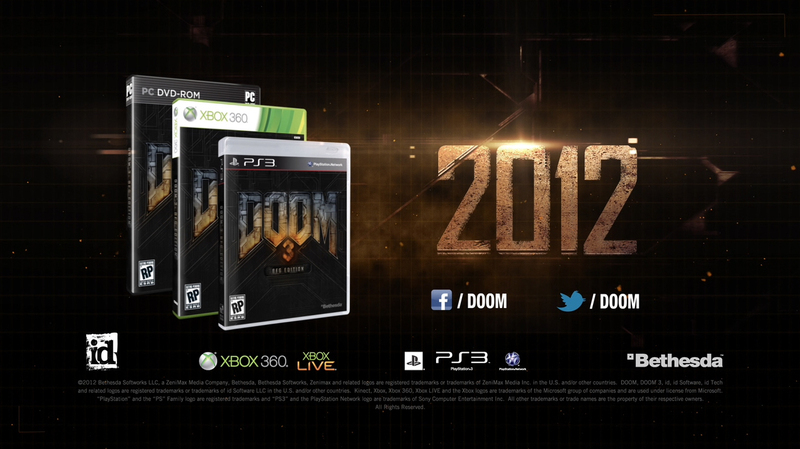 Bethesda was behind the Doom 3 BFG Edition, which included Doom 3, both of its expansions as well as the original Doom and Doom II. Now you can counter this argument. For instance, not everyone buys dlc. This is true and there is definitely enough game for your buck in Bethesda games without paying for additional hours. So really my whole point with this article is to continue to encourage informed decision. This is an era of recession and economic uncertainty. If you still want to buy Fallout 4 on day one, more power to you, but understand that you will not be making a financially logical decision. Kudos to you though for supporting the video game industry. It’s great that Bethesda’s fans are so awesome to Bethesda… but shouldn’t Bethesda be awesome back to their fans? No, they shouldn’t. Companies are not our friends, they exist to make money so that they can continue to provide the products we desire. It’s our job to be smart about it, it’s our job to be smarter than publishers like Bethesda. Not all dlc is worth purchasing.